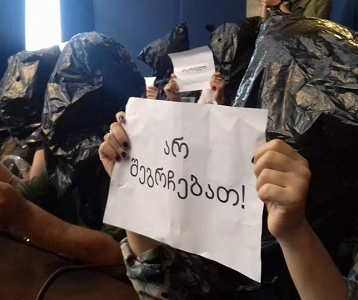 TBILISI, DFWatch–Georgia’s embattled opposition TV company Rustavi 2 has lost control over its web domain and has had to switch to a different address to stay online. In a statement posted online on its new address, Rustavi 2 blamed former owner David Dvali of having hijacked their most used link, rustavi2.com. “Without warning, [he] switched off the television station’s online platform,“ Rustavi 2 wrote in the statement which is posted on its backup address Rustavi2.ge. The switch-off happened right before the start of the talkshow “P.S.” at 9pm Sunday night. The primary domain rustavi2.com contained an open letter from Dvali and business partner Jarji Akimidze claiming that the domain had always belonged to them. 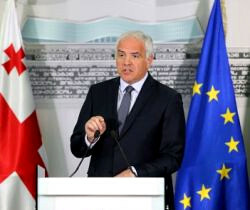 Besides the letter, the domain, which is one of the most popular in Georgia, now points to various debates and news items about the controversy surrounding the TV station, posted on yet another address, Rustavi2.info. According to the statement by Rustavi 2’s management, the person who owns the domain Rustavi2.com is a friend of Davit Dvali and that is what allowed him to take control over the .com domain, which has been the company’s primary domain in recent years. According to the latter statement, Akimidze and Dvali will try to balance ‘the propaganda and disinformation flow’, which is being spread from Rustavi 2 TV. The hijackers are a different set of former owners from the one who has been in the news lately. 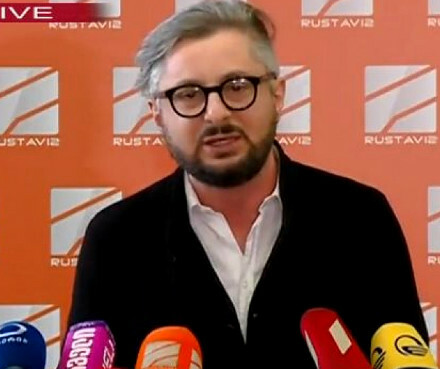 Kibar Khalvashi sued Rustavi 2 and won in the Supreme Court, threatening to wrest control over the station from the current director Nika Gvaramia, a former justice minister and education minister and activist for the National Movement, the political party which held power in 2004-2012. However, the European Court of Human Rights suspended the implementation of the Supreme Court ruling ‘until further notice’. The Rustavi 2 company has changed ownership numerous times since it was founded in 1994. 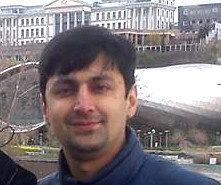 Dvali and Akimidze predate Khalvashi as owners of Rustavi 2, dating back to the early 2000s. They ceded control in 2004; a transfer of ownership which is not described in detail in the formers’ open letter. “The case has been fully documented with the supporting evidence, including the witness accounts, and was later filed to the prosecutor’s office,” the letter states. 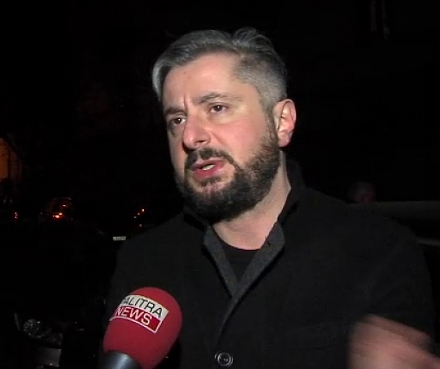 The two founders sided with Khalvashi in the lawsuit against Rustavi 2’s current owners, the brothers Levan and Giorgi Karamanishvili. The brothers are regarded as aligned with former President Mikheil Saakashvili who lives in exile in Ukraine. But the current owners still have more than one leg to stand on in cyberspace. Apart from retaining control over rustavi2.ge, they also control an older domain, rustavi2.com.ge which is updated with today’s content.